Every year in Todos Santos, we have had at least one rodeo. The vaqueros & escaramuza women ride their horses through the town, head for the stadium and put on a performance that will keep you on your toes and wanting more. 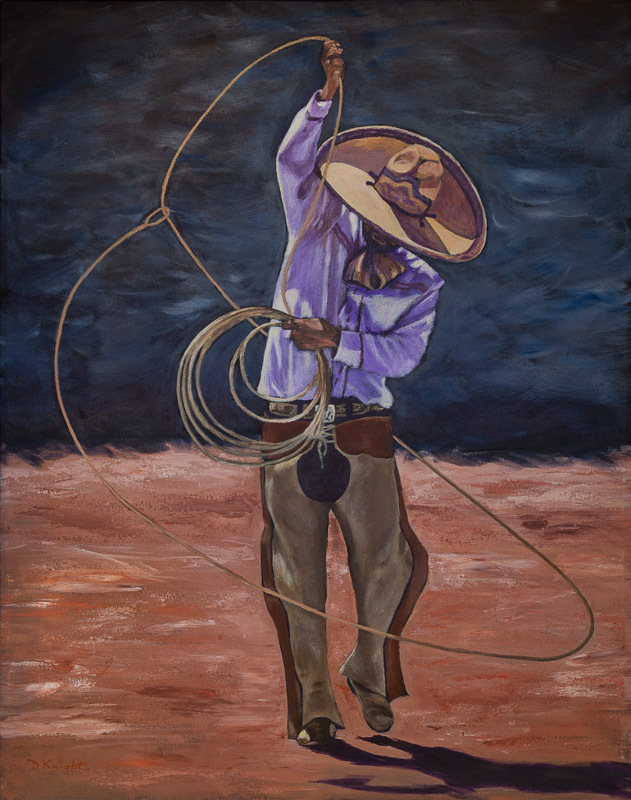 This vaquero was showing everyone his talent with a lasso. Over his head, just above the ground, off to the side, jumping through it. I managed to catch some great photos and finally decided it was time to paint this guy. Gosh, I loved painting this. So much motion and character. Most of it was painted during the Open Studio Tour this past weekend.